Anyone remember the movie Big Fish? Tim Burton, Ewan McGregor with a bad Southern accent and Helena Bonham Carter being a freaky witch for a change? Yeah I don’t either. Fantasy with no explanation, legends and folklore with no basis or charm and no real plot. A bit hit or miss. My point? 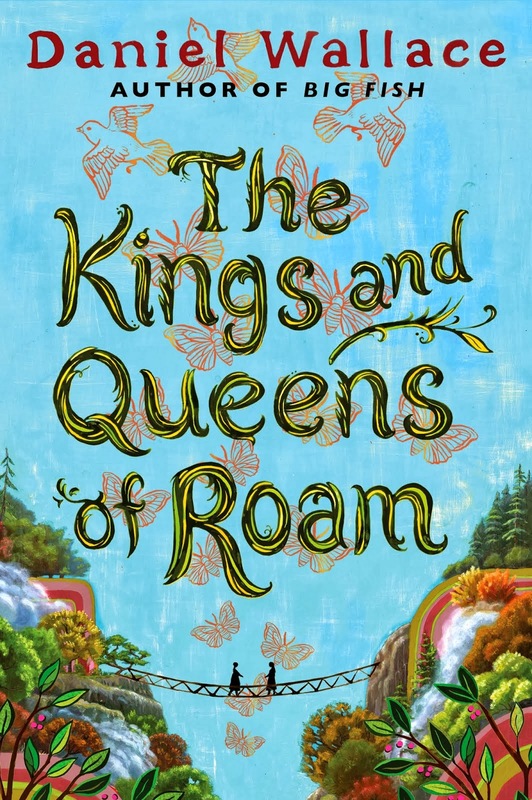 The film was based on the novel by Daniel Wallace and The Kings and Queens of Roam is his latest offering. It bears the same characteristics, a mysterious small town and the battle between good and evil. This time the battle is between two sisters – one beautiful, innocent and blind (Rachel) and the other ugly enough to buckle railroad tracks (Helen). The homely Helen looks after beautiful blind Rachel in the cruellest way possible. She lies to her about the world around her – she tells her it is a terrible, dangerous place. She also swaps faces with Rachel, telling her that she is the ugly one and that beautiful Helen has sacrificed her happy life to look after Rachel. They both depend on each other to survive. Rachel needs Helen to protect her against Helen’s hideous imagined world and Helen needs Rachel so she can be everything she wants to be – beautiful and needed. 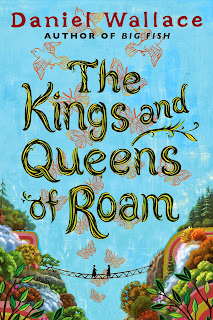 Of course things can never stay the same and Rachel leaves Roam so Helen can have a life on her own. On her own adventure, she discovers that Helen has not been entire truthful to her and she begins to think about revenge. While the story focuses on the sisters, it also has some great peripheral characters: the lumberjack who has lost his one true love and a very short bartender are some of the kooky residents of Roam that flesh out the book. The author takes us back and forth from the present to the disturbing origins of the town of Roam and another village that is linked to the past. At the end of everyone’s adventures we all discover that we must go back to the beginning – home. The novel has a nice fairy-tale feel with good, evil, redemption and forgiveness themes throughout. It does end abruptly after the two sisters duke it out which made it a bit anti-climatic but it’s not a bad read. It doesn’t, however, make me want to search for Big Fish or another of Daniel Wallace’s books. I loved "Big Fish". Sure, it didn't make sense, but I cried my eyes out at the end. I loved the movie and the review! Love the movie and your review!